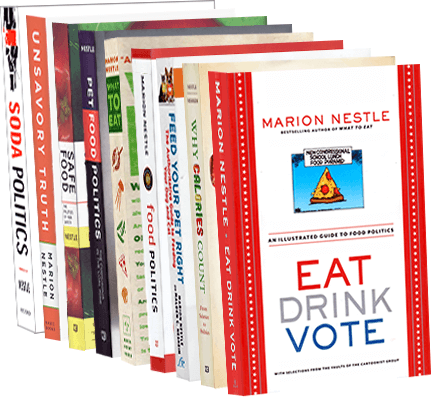 Food Politics by Marion Nestle » Another five sponsored studies with expected results. The score: 85:6. Another five sponsored studies with expected results. The score: 85:6. These are coming in so quickly that I am having a hard time keeping up with them. Note that the first three are sponsored by Coca-Cola and that some of the investigators were involved with the ill-fated Global Energy Balance Network, now defunct. As we now know from the e-mails obtained by the Associated Press, the statement that “the sponsor played no role…” is not necessarily correct. As for the score: since mid-March, I have collected 85 sponsored studies with results just as the sponsor wanted, versus 6 with results that must have disappointed. But stay tuned: tomorrow I will post 3 more in the disappointing category. Low levels of physical activity are associated with dysregulation of energy intake and fat mass gain over 1 year. Robin P Shook, Gregory A Hand, Clemens Drenowatz, James R Hebert, Amanda E Paluch, John E Blundell, James O Hill, Peter T Katzmarzyk, Timothy S Church,11 and Steven N Blair. Am J Clinical Nutrition November 11, 2015 as doi: 10.3945/ajcn.115.115360. Conclusions: These results suggest that low levels of physical activity are a risk factor for fat mass gain. In the current sample, a threshold for achieving energy balance occurred at an activity level corresponding to 7116 steps/d, an amount achievable by most adults. Funding: Supported by an unrestricted research grant from The Coca-Cola Company. Association between cardiorespiratory fitness and submaximal systolic blood pressure among young adult men: a reversed J-curve pattern relationship. Vivek K. Prasada, Clemens Drenowatza, Gregory A. Handb, Carl J. Laviec, Xuemei Suia, Madison Demelloa, and Steven N. Blair. Journal of Hypertension 2015, 33:2239–2244. Conclusions: There was a reverse J-curve pattern relationship between SSBP [submaximal systolic blood pressure] and CRF [cardiorespiratory fitness], with the lowest SSBP among men with fair or good CRF and highest among those with poor CRF. Funding: Funding for this project was provided through an unrestricted grant from The Coca-Cola Company. The sponsor played no role in the study design, data collection, analysis and interpretation, or preparation and submission of this manuscript. Relation of Body’s Lean Mass, Fat Mass and Body Mass Index with Submaximal Systolic Blood Pressure Among Young Adult Men. Vivek K. Prasad, MD, MPH, PhD, Clemens Drenowatz, PhD, Gregory A. Hand, PhD, Carl J. Lavie, MD, Xuemei Sui, MD, MPH, PhD, Madison Demello, MS, Steven N.Blair. Am J Cardiology 2015 DOI: 10.1016/j.amjcard.2015.10.060 . Conclusion: there was a J curve pattern between SSBP [submaximal systolic blood pressure] and components of body composition whereas, a linear relation between SSBP and BMI. Funding: Funding for this project was provided through an unrestricted grant from the Coca-Cola Company. The sponsor played no role in the study design, data collection, analysis, and interpretation,or preparation and submission of this manuscript. Sugar- and artificially sweetened beverages and intrahepatic fat: A randomized controlled trial. Vanessa Campos, Camille Despland, Vaclav Brandejsky, Roland Kreis, Philippe Schneiter, Arnaud Chiolero, Chris Boesch and Luc Tappy. Obesity Volume 23, Issue 12, pages 2335–2339, December 2015. Conclusion: In subjects with overweight or obesity and a high SSB intake, replacing SSB with ASB decreased intrahepatic fat over a 12-week period. Disclosure: LT received research support from Nestlé SA, Switzerland, and Ajinomoto Co Inc, Japan, for studies unrelated to this work and speaker’s honoraria from Nestlé SA, Switzerland, Ferrero, Italy, and C3 collaborating for health, UK. The other authors declared no conflict of interest. Probiotic supplementation attenuates increases in body mass and fat mass during high-fat diet in healthy young adults. Kristin L. Osterberg, Nabil E. Boutagy, Ryan P. McMillan, Joseph R. Stevens, Madlyn I. Frisard, John W. Kavanaugh, Brenda M. Davy, Kevin P. Davy and Matthew W. Hulver. Obesity Volume 23, Issue 12, pages 2364–2370, December 2015. DOI: 10.1002/oby.21230. Conclusion: VSL#3 [the probiotic] supplementation appears to have provided some protection from body mass gain and fat accumulation in healthy young men consuming a high-fat and high-energy diet. Funding agencies: This study was funded by VSL Pharmaceuticals, Inc.
Disclosure: The authors declared no conflict of interest. Three rare industry-funded studies with disappointing results. The score: 85:9.